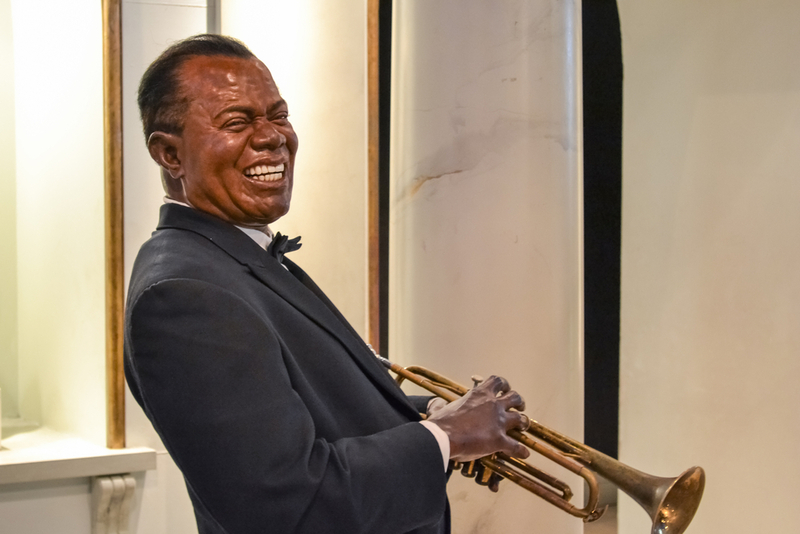 You have undoubtedly heard the names of so many renowned trumpeters, Miles Davis, Louis Armstrong, Chet Baker and Dizzy Gillespie, just to name a few. Perhaps these legendary musicians inspired you to pick up the trumpet in the first place. However, at some point they were all beginners, and they all had to work very hard in order to achieve the virtuous level of playing. Whether you seek to impress your friends, play in a band or simply relieve stress, here are all the trumpets basics that will get you started in your new practice! To start you must select your trumpet. Whether you choose to purchase a trumpet or just rent one is entirely up to you! Your best option is to simply go to your nearest local music shop and ask about student trumpet’s that are available for rent or purchase. Be sure to ask if the trumpet is in the B flat key (the preferred option for beginner’s). While you may receive a different key, a concert B-flat is simply the easiest scale to learn at the end of the day. Do not worry if the trumpet you choose is an unlabeled brand, many student trumpets come with unmarked brands and they are more than fine to get started with. Before making your purchase or signing the rental agreement, double check the following three things: that the valve casing has no dents in it, the valves move up and down smoothly and are not too noisy, and also that all of the slides move freely back and forth. 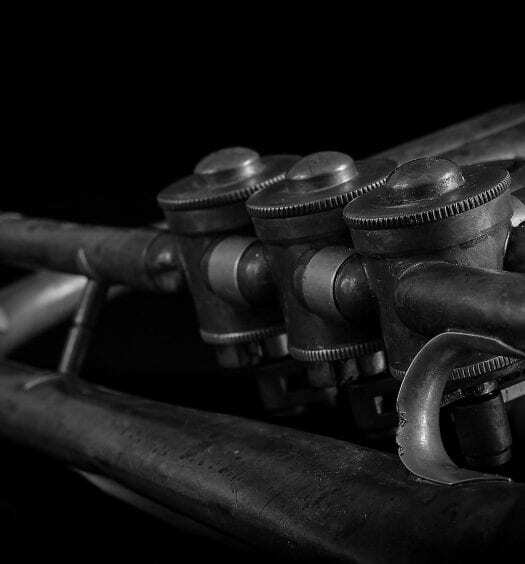 Once you have arrived back home with your trumpet, before even taking it out of its case there are a few trumpet basics that you will need to implement prior to even pressing it against your lips. Begin your practice by saying the letter “M”, stop when the M sound vibrates to a “mmm” sound. Hold this position with your lips and begin to blow through with position, to create a buzzing sound. While this may feel or sound odd to you the first few times you practice, this is in fact, the basic lip position that you must use when you are playing your trumpet. To practice and lock in the buzzing sound that you must accomplish to play your trumpet. A good tip is to simply pretend that there is a small piece of paper on the tip of your tongue. Then, stick just the tip of your tongue out very slightly and attempt to scrape the paper off of your tongue swiftly and then spit it away from your mouth. Allow your lips to catch each other, in a manner that creates a sound that is similar to a ‘raspberry’ blow. Once you have successfully mastered the lip art of the trumpet’s basics, you are ready to move on to actually picking up your new instrument! Upon fully assembling your trumpet, inhale through your mouth, and assume the proper lip position, place the trumpet up to your lips, and begin to vibrate using your lips and creating that buzzing sound. Do not press down on any of the valves just yet. You should simply begin to recognize the feeling of your lips as they change tightness and start to lock into your first note. Following your first note of play, begin to tighten your lips just a bit and gently press down on valves one and two. Valves are numbered one through three, with valve number one being the closest to you, and valve number three is the one that is closest to the bell of the horn. You have officially played your first two notes on the trumpet! One great tip if you have some difficulties mastering the buzzing sound, is to carry a mouthpiece around with you at all times. If you buzz into your mouthpiece correctly, you will make a coherent sound, similar to a duck call. If you sound like Donald Duck, don’t fret, you are doing it properly. You are now ready to proceed in starting the process of learning your very first scale. A scale is a collection of ascending or descending pitches which proceed each other based upon a specified scheme of intervals. Start with C: You can play this note on your trumpet while pushing no valves down. Then go to D: Push down on valves one and three. If you can’t play D, try to barely tighten your lips. Play E: Tighten your lips a little more and push down valves one and two. Go to F: Tighten your lips a little more and push down valve one. Move to G: Tighten your lips a little more but do not push down any valves. Come to A: Tighten your lips more and push down valves one and two. Move to B: Tighten your lips a little more and push down only valve two. Finish with high C: Let go of all the valves. You have officially just played your first C scale (Concert B-flat) on a trumpet. You are now ready to purchase a trumpet music book from your local music store to begin learning even more! There are even some wonderful tutorials and paid classes available online that can help your skill develop substantially! Try to practice each day for at least 15 minutes, though one hour is the recommended playing time to really build your skill. 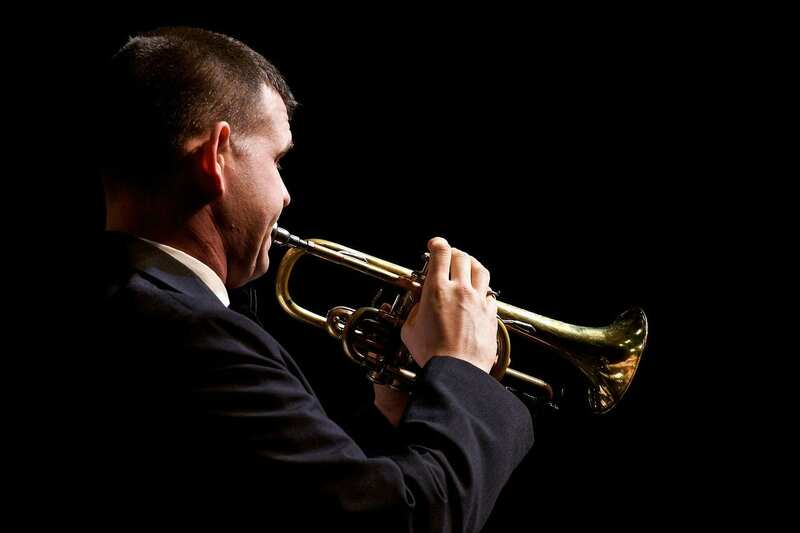 Even 15 minutes a day can significantly improve and strengthen your trumpet playing skills. Try not to get discouraged, learning the art of trumpet playing takes a vast amount of time. Stay positive, keep playing and practicing, and you will start to notice the progress you make and how you’re beginning to grow as a trumpet player!